In my last post, I talked about girls getting their period, and kids in general starting puberty. You can read that here. The call was sponsored by HelloFlo, which is a subscription box service offering women their monthly supply, which comes a few days before you need it, so you don't get caught having to run to the store at the last minute. 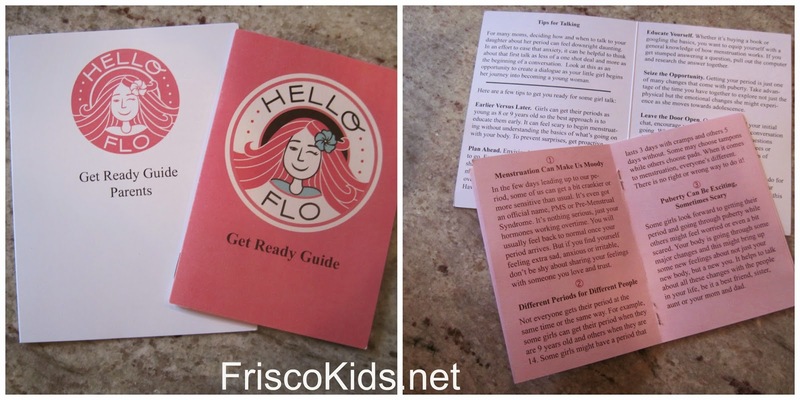 You might have heard of HelloFlo from their awesome video that went viral, Campy Gyno. It is hilarious, and something you might even want to share with your daughters because it's so funny. I participated in the call because I was interested in hearing what Dr. Cara Natterson had to say about puberty and the period, since I have a daughter in that age range. 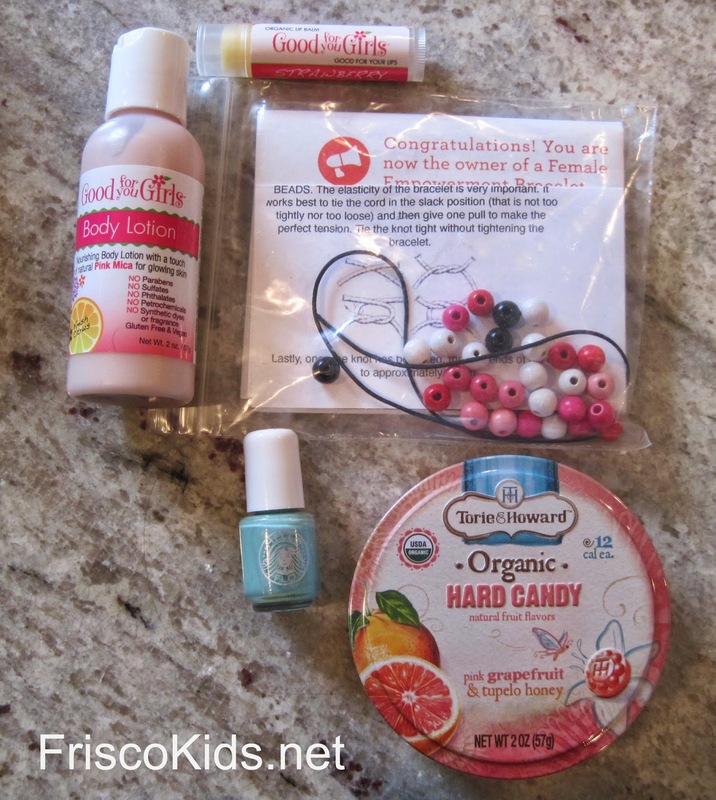 But as thanks for participating in the call, Hello Flo sent us a period starter kit, which I was interested in seeing. Hello Flo Founder Naama Bloom wanted to help parents help their daughters figure the period out, and to celebrate its arrival, not to treat the period like the beginning of a monthly dreaded event. Two boxes of pads, a small pouch to carry those pads out of the house, two hair ties, nail polish, hard candy, lotion and lip balm, a female empowerment bracelet and a very small "get ready guide" for the parent and the child. 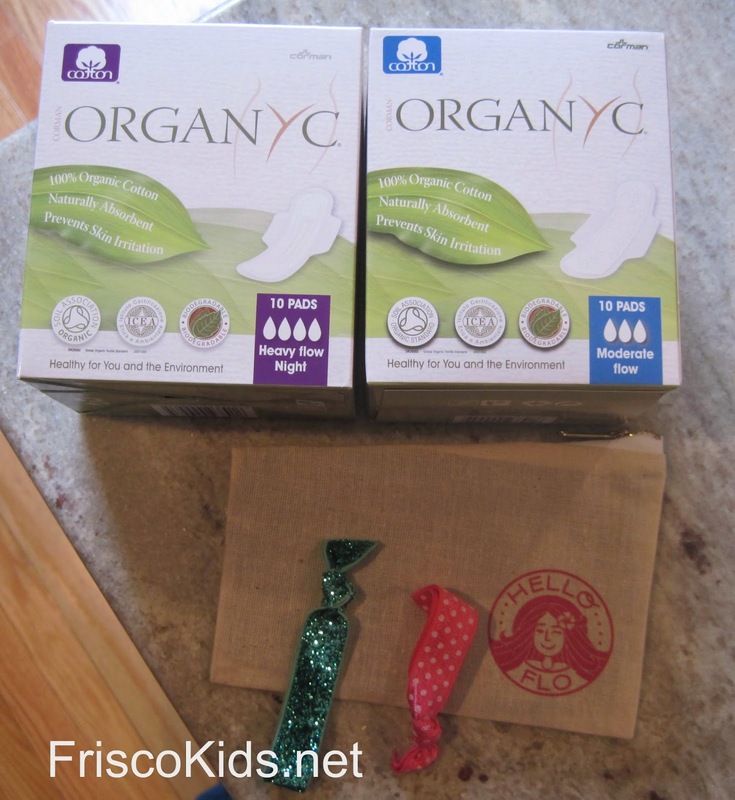 Two boxes of organic cotton pads, plus the carry pouch. Plus two hair ties. The lotion and lip balm are from Good for you Girls, which contains no parabens, sulfates, petrochemicals, phthalate, PEGs, synthetic fragrance or dyes. It came with a 15% off coupon for that brand online. You can read the discussion about tampons and girls in the previous post. But Naama said that they don't include tampons in the starter kit because in her experience, moms didn't want to go there. If you're interested, though, Naama said that Tampax Pearl is the easiest to insert. The Sport style is their newest, and they applicator is smaller. The tampon is the same size. 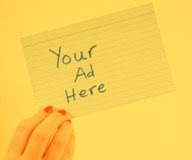 If your daughter expresses interest, open one up (any brand) so she can see how it works. Make sure she knows the applicator isn't the tampon. As part of her company, Naama wanted to find an organization that could also benefit, and she discovered ZanaAfrica. 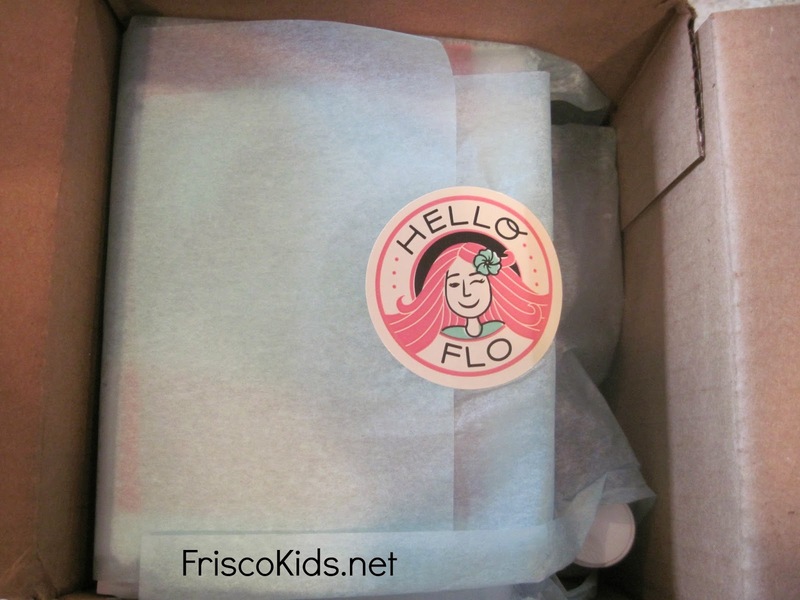 Donations are made to the organization for every 3-6 month subscription to HelloFlo. ZanaAfrica covers a problem I never thought about before. The organization distributes kits to Kenyan girls, containing three pairs of underwear, pads to get them through the school year, and educational material. I didn't know that girls and women in parts of Africa don't have access to sanitary products, so they remain home-bound from school during their periods. As you can imagine, this affects their education, and for women working, it affects income. In parts of Africa they use reusable products, but in Kenya the clean water supply isn't so good. So you don't want to get sick from using unsanitary products. Disposable pads in Kenya are not made locally so they are very expensive. The wood pulp used in them comes from South America. ZanaAfrica is working with engineers and scientists to develop fillers for pads from local agricultural waste, and is working toward building a manufacturing plant locally. When asked why the women there don't use tampons, Naama told us that tampons are expensive and are considered a luxury! Also, there is sometimes a social stigma to using them. Do you have any tips to share for other parents whose daughters might be starting their period soon? Great your blog And lovely different pictures.Wonderful your video.So,I love everything.In case you're interested, however, Naama said that Tampax Pearl is the most effortless to embed. The Sport style is their most current, and they applicator is littler. The tampon is the same size. Thanks all!